Advancing medical treatment for skin diseases takes teamwork. Our team is dedicated to your care as a research participant. All studies are fully voluntary and comply with strict privacy and ethical standards. 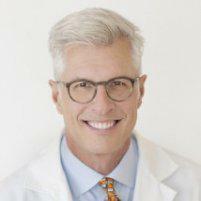 Dr. Steven Kempers is a Board certified Dermatologist with over 27 years of clinical trial experience. If you are interested in one of our active studies, sign up today or leave a message on our Study Line (763) 502-2941. We are open Monday through Thursday, 7:30am to 4:30pm. What Trials Are Currently Going On? Clinical research trials are used to test and evaluate investigational drugs and treatments. Before a new investigational drug or treatment can be considered for approval by the U.S. Food and Drug Administration (FDA), it must be shown to be both safe and effective. A carefully monitored clinical research trial is the best way to find out if a new treatment is safe, effective, or better than medications that are already available. Phase I trials are the first step in testing a new drug on people. These are small studies where everybody in the study is given the same drug. Phase I trials answer questions about the best way to give the drug and how much of it can be given safely. The study staff watches carefully for harmful side effects and other possible risks. Phase II trials are larger studies that continue to test the safety of the new drug. Phase II trials also begin to test how well the new drug works by comparing the new test drug with a standard treatment. In some cases, such as when there is no effective treatment for a condition, the new drug is compared to a placebo, that is, a treatment with no active ingredient. Phase III trials are very large studies that are conducted nationally and/or internationally if the new drug showed promise in Phase II studies. Phase III trials compare a new drug with the standard treatment to see which one is more effective. In some cases the new drug is compared to a placebo. Side effects are also studied. Phase III trials are usually randomized. Randomization is a research method that helps prevent the results of a clinical trial from being biased. Participants agree to be randomly selected, that is, assigned by chance, to one group or another in the research study. Phase IV trials may be done after the new drug or treatment is already approved for use by the Food and Drug Administration. These studies continue to test the effects of the drug on different types of people, and to look for long-term side effects. Every clinical trial attempts to answer some very specific research questions. To do this, each trial has certain requirements for health, age, gender, the type or stage of a disease, previous treatment history, and other medical conditions. You must meet the requirements of a particular trial to be an eligible volunteer. Completion and enrollment rates for our studies are high and typically meet or exceed sponsor requirements. We are frequently asked to enroll more than our original quota to help the sponsors reach overall enrollment goals. Steven Kempers, M.D. 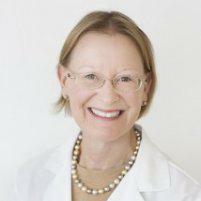 is a board certified dermatologist and is the Director and Principal Investigator of MCSC. Our support staff includes five full time Research Coordinators, all certified through ACRP, a dedicated Recruiter, a part-time Research Assistant, and a Regulatory Specialist/Supervisor. We are experienced in Phase 2 through Phase 4 levels. Our facility has a laboratory for processing specimens, and a secured locked storage room for investigational medications and supplies. Our Research Coordinators are IATA certified to ship diagnostic specimens. Payments are made to qualified participants at the end of their participation. The Minnesota Clinical Study Center (MCSC) is an independent, privately owned clinical trial research center devoted to conducting clinical trials for diseases of the skin and cosmetic procedures. We are continually starting new and exciting trials that offer new treatments and promising drugs long before they are available to the public. Please check back often.